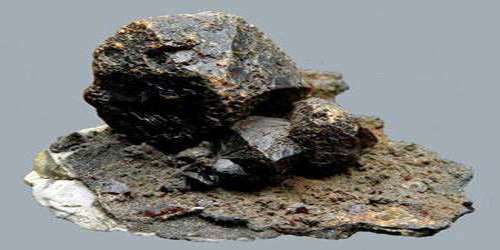 Sphalerite is a usually yellow-brown or brownish-black cubic mineral occurring either as single dodecahedral crystals or as granular masses. 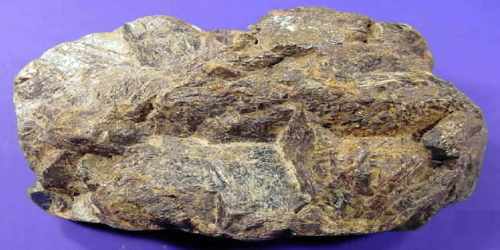 It is also called blende, or zinc blende, zinc sulfide (ZnS), the chief ore mineral of zinc. It often contains cadmium, arsenic, or manganese and has a distinct rotten egg odor. It is often found in association with the mineral galena and is the primary ore of zinc. It consists largely of zinc sulfide in crystalline form but almost always contains variable iron. 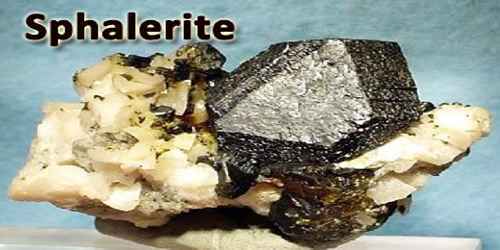 Sphalerite is usually found in association with galena, pyrite, and other sulfides along with calcite, dolomite, and fluorite. 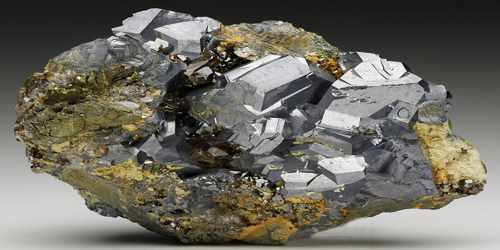 Miners have also been known to refer to sphalerite as zinc blende, black-jack and ruby jack. The name sphalerite is derived from a Greek word meaning “treacherous,” an allusion to the ease with which the dark-coloured, opaque varieties are mistaken for galena (a valuable lead ore). The alternative names blende and zinc blende, from the German word meaning “blind,” similarly allude to the fact that sphalerite does not yield lead. Sphalerite is a common mineral, and there are many localities where fine specimens have come from. In the United States the most important sphalerite deposits are those in the Mississippi River valley region. There sphalerite is found associated with chalcopyrite, galena, marcasite, and dolomite in solution cavities and brecciated (fractured) zones in limestone and chert. Similar deposits occur in Poland, Belgium, and North Africa. Sphalerite also is distributed worldwide as an ore mineral in hydrothermal vein deposits, in contact metamorphic zones, and in high-temperature replacement deposits. Pure Sphalerite has a white streak. However, impurities are almost always present, giving this mineral a light brown streak. The streak will always be a lighter color than the specimen. Most commonly as tetrahedral crystals, which are usually twinned and grouped together. They may closely resemble octahedral crystals. Also occurs as groupings of distorted dodecahedral and cubic crystals. Crystal faces are usually rounded or curved. May also be massive, grainy, botryoidal, stalactitic, and as large, distorted cleavage fragments. Sphalerite is the most important ore of zinc. Around 95 % of all primary zinc is extracted from sphaleritic ores. However, due to its variable trace element content, sphalerite is also an important source of many minor metals, such as cadmium, gallium, germanium and indium. Sphalerite is the principle ore of zinc. In some localities, it occurs with significant amounts of the rare elements cadmium, gallium, and iridium, and it is also the main ore of those metals. Sphalerite is an important mineral to collectors, and some transparent varieties are occasionally faceted for collectors.